Each company goes through a goal setting exercise naturally. 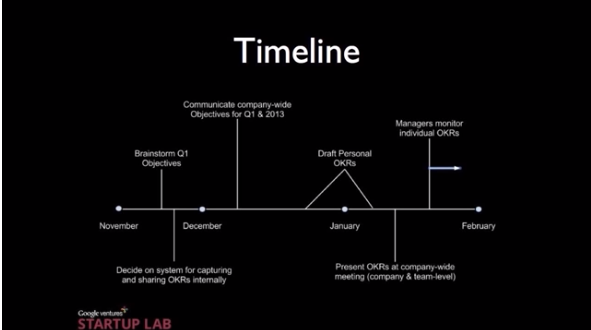 OKR is data: it tells you what to do and what not to do. 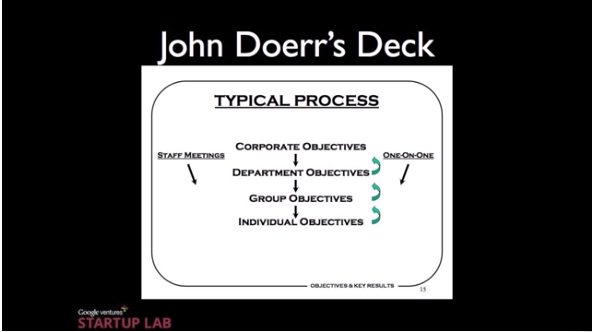 Rick Klau used an analogy of a football team to help us understand the difference between Individual’s, Team’s, and Company’s OKRs. 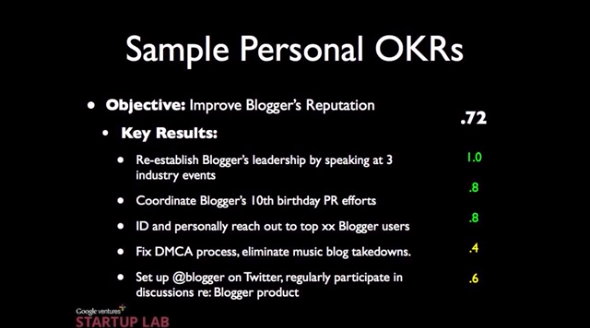 In general terms, the following are some of his tips on defining OKRs. Sometimes to achieve certain Objectives you need to conduct experiments. Don’t assume you have the answer, experiments to test impact. 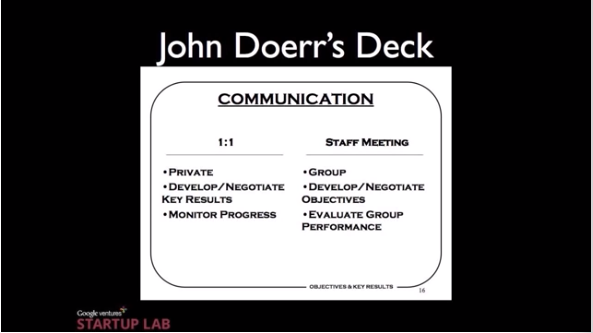 Key Results can be how many successful experiments that help you understand the growth. 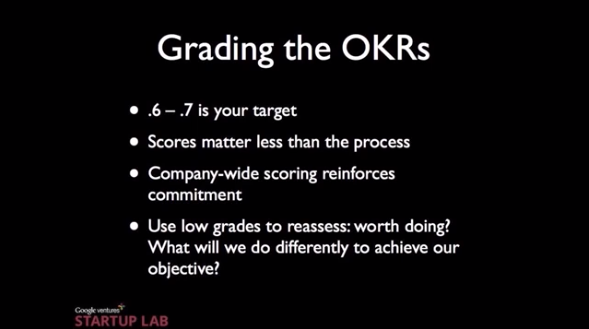 For Team and Company wide OKRs you review quarterly, and explain why you got the grade that you did, what you are going to do differently going into the next quarter, and set upcoming quarter’s OKR. Rick was the PM on Blogger after it was acquired by Google in 2007. He gave 3 examples in the video, and I wanted to use one that was simple to understand. This one didn’t touch on metrics in terms of numbers. Rick’s summed it up really well in his blog post. ps. The notes are taken while I was watching the workshop recording. All terms are from Rick’s presentation. All credits to him!